What’s happening in The Ardenne, Grand-Est, this year? There’s quite a lot happening in The Ardenne this year. Here’s a few highlights or download the events brochure here. 26th – 27th July – Aymon Folk Festival, Bogny-sur-Meuse – The annual folk and world music festival takes place on the “Four Sons of Aymon Plateau”, a natural setting overlooking the magnificent panoramic view of the Meuse Valley. 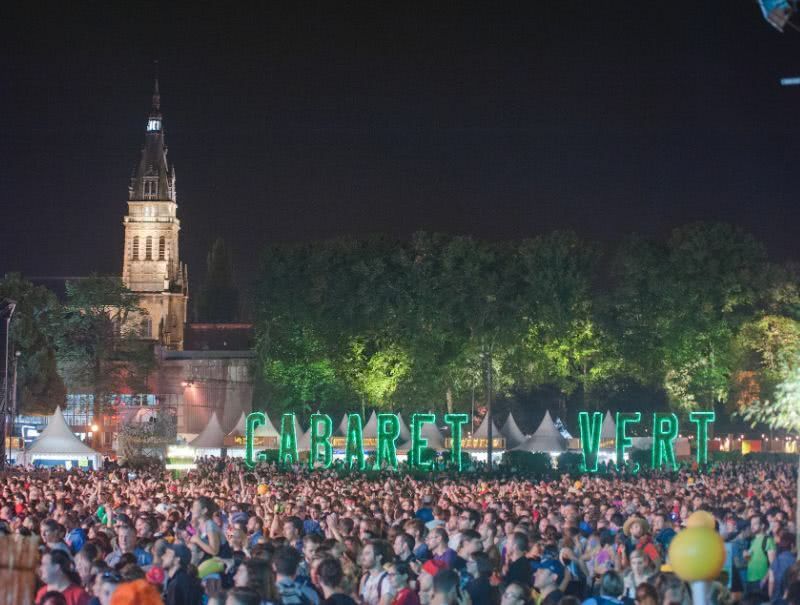 22nd – 25th August – Green Music Festival, Charleville-Mézières – Attracting an audience of nearly 100,000, this eco-friendly, alternative electric rock festival takes place at the Bayard Stadium in the centre of Charleville-Mézières. The 2019 lineup includes Twenty One Pilots, Prophets of Rage, Nina Kraviz, Patti Smith and Ziggy Marley. Four day passes are priced at Euros 122. Camping on site is available. 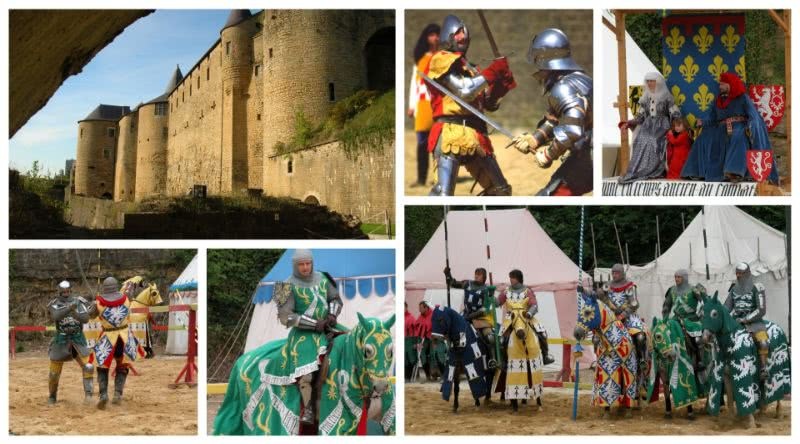 18th & 19th May – Medieval Festival, Sedan – Around 30,000 visitors come to enjoy this colourful festival in Europe’s largest medieval fortress. The past is brought to life with tournaments, crossbow demonstrations, jousting, jesters, troubadours, feasts and markets. 20th July – 17th August – La Cassine Sound & Light Extravaganza – The little village of La Cassine near Vendresse is the setting for a magnificent sound and light show, based each year on a well-loved classic with hundreds of volunteer actors and exceptional lighting and pyrotechnic effects. To celebrate the 35th anniversary of the show, the adaptation in 2019 will be of Victor Hugo’s “Les Misérables”. Informal dining is available on site. 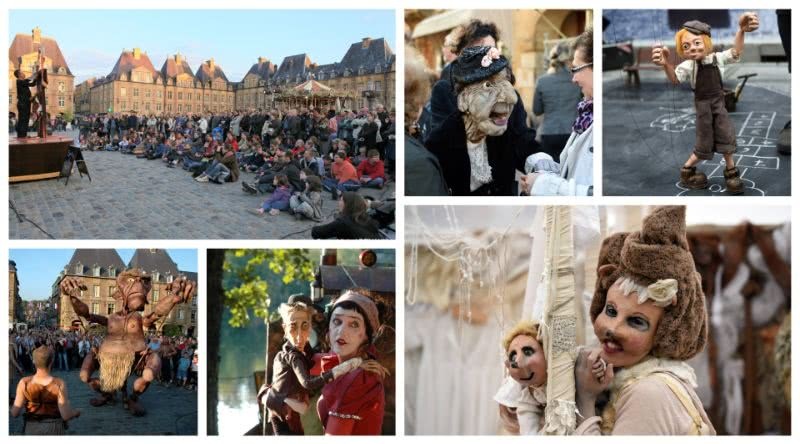 20th – 29th September – World Festival of Puppet Theatre, Charleville-Mézières – Launched in 1961, this bi-annual festival has become the largest gathering of puppeteers in the world. For the 10 days’ duration, Charleville-Mézières is transformed into a colourful and lively puppet showcase with performances all over town. Programme available from June 2019. 26th – 28th April – Arden Brew Fest – From humble beginnings in 2013 to celebrate the opening of a micro-brewery at the Clos Belle Rose Guest House in Haybes, the Arden Brew Fest has morphed into a veritable beer festival featuring over 100 beers from 16 different breweries and attracting nearly 5,000 visitors. Taking place on the banks of the River Meuse in the heart of the Ardenne Massif, festival goers can enjoy Ardennais cuisine prepared by local chefs with live music to ensure a convivial atmosphere. Entrance is free and the local campsite will be open for the festival. 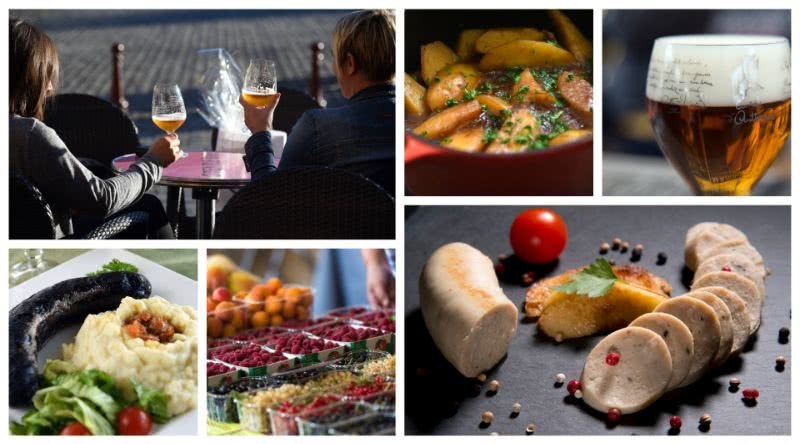 4th – 5th May – Brotherhood Festival of Gastronomy, Charleville-Mézières – Brotherhoods of regional produce from France and Belgium meet up at the Place Ducal to share their passion for good food and good humour. Expect a traditional parade, demonstrations, regional specialities, local crafts and more. 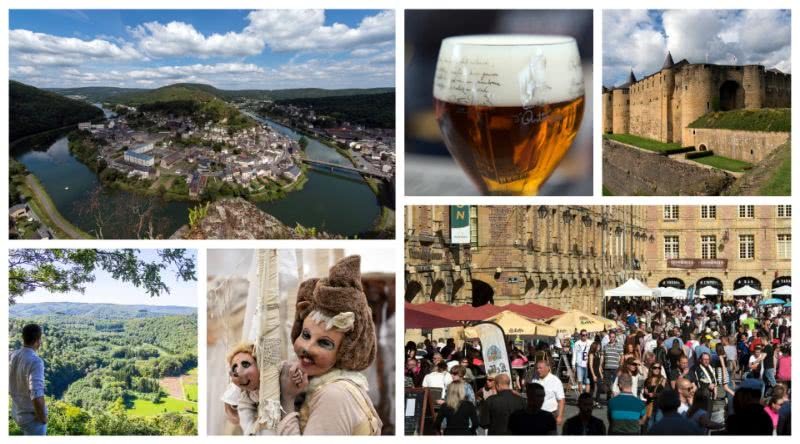 8th – 10th June – Beer Festival, Charleville-Mézières – Renowned for its characterful beers, The Ardenne organises an annual Beer Festival taking place in the Place Ducale to showcase local micro-breweries and specialist beers from further afield in France and neighbouring Belgium. 11th November – Onion Fair, Givet – With over 500 onion sellers from across France and Belgium, this cross-border fair attracts around 20,000 visitors to discover the rich diversity of onion dishes. There are also local specialities such as the cured Ardenne ham, the white sausage from Rethel and the Blue Stone chocolates from Givet. Travelling to the Ardenne: The nearest airport is Belgium South Charleroi, 100km to the north of Charleville-Mézières and there is a direct train connection to Paris Gare de l’Est taking 1 hour 45 minutes. To drive from the ferry and Eurotunnel terminals in and around Calais, take the A26 south to exit 14 (Juvincourt-et-Damary), the D925 east via Roizy, then pick up the A34 to Charleville-Mézières (3.5 hrs). Background: Part of the Grand Est region of France, The Ardenne is named after the hilly plateau, the ‘Ardenne Massif”. The ‘Ardenne Massif’ encompasses parts of Belgium to the north and Luxembourg to the east and is renowned for the natural beauty of its landscapes, such as the valleys of the Meuse and Semoy rivers, thick forests and rocky peaks. The Ardenne is an ideal destination for lovers of the outdoors, nature and activities such as hiking and cycling. The main town of Charleville-Mézières is famous for its bi-annual World Festival of Puppet Theatre and as the home town of the “rebel” poet, Arthur Rimbaud.